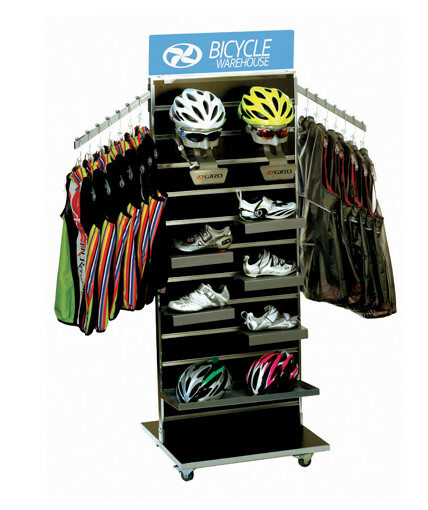 Slatwall Retail Displays, Free standing store fixture. 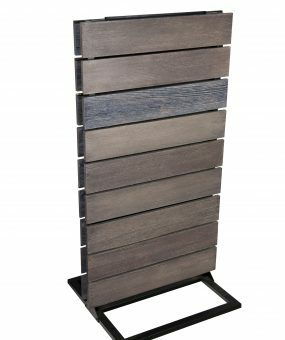 Our slatwall line of stock fixtures include some of the most universally accepted, versatile and time-tested types of fixtures in the retail industry. 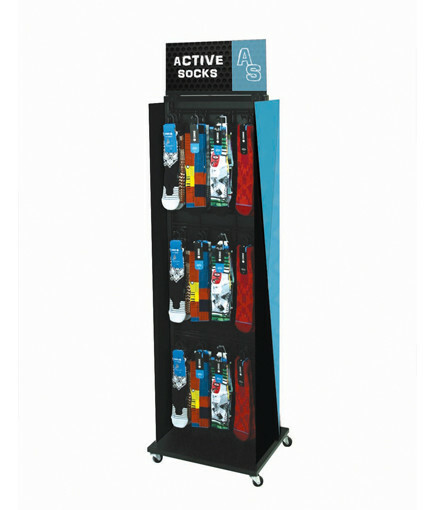 Slatwall can be used to merchandise just about any type of product. 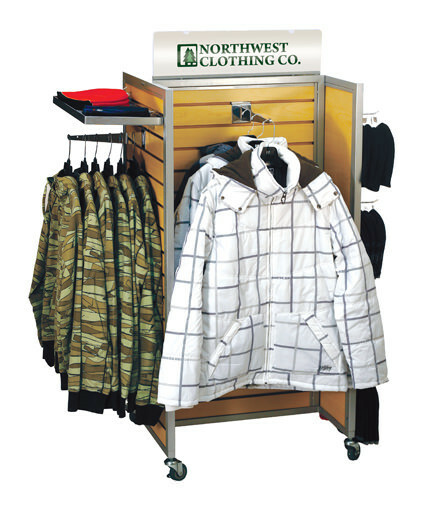 We offer both traditional slatwall and wire slatgrid fixtures, both of which can accommodate standard slatwall accessories such as hooks, shelves, baskets, waterfall arms, apparel bars, straight-outs, and header signs. 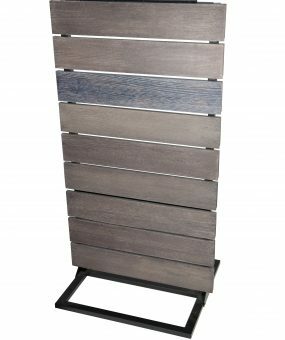 A number of our slatwall fixtures come with casters and are available in a variety of colors and finishes. Slatwall displays are a smart choice for almost any type of retail setting- from higher end department stores to mass market retailers and specialty shops. These fixtures are great for apparel items but are also a good choice for consumer electronics products, novelty items, boxed merchandise, and any type of hanging item. Adding header signs and flag signs to a stock slatwall fixture can help to promote your brand. We can utilize our in-house printing capabilities to help you quickly convert a stock fixture to high-impact branded fixture. If none of our slatwall fixtures or other stock fixtures work for you, let us know, and we can help you create a unique custom fixture to meet your merchandising objectives. 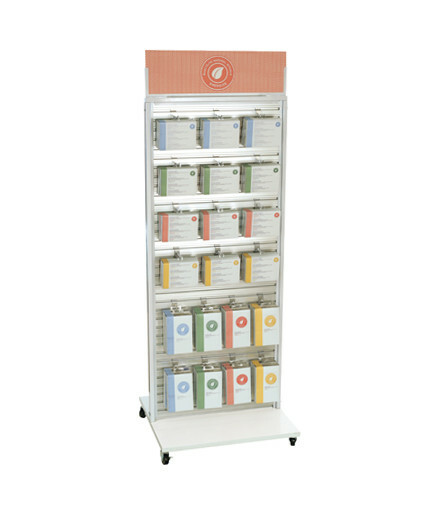 Mobile slatwall free standing displays for all types of products. Electronics, apparel, toys, and convenient store accessories.